One of the premier expos of the sensing and vision technologies industry, VisionCon 2019 is taking place at the Chengdu Hilton Hotel & Resorts on 12 April 2019. ASTRI is a supporting organisation of this day-long forum. Dr Tsai Cheng-jun, ASTRI’s Director of Intelligent Sensing Technology System (ISTS), has been invited as a guest speaker at the event. In addition, Dr Tsai will be the moderator for a panel discussion involving industry experts. 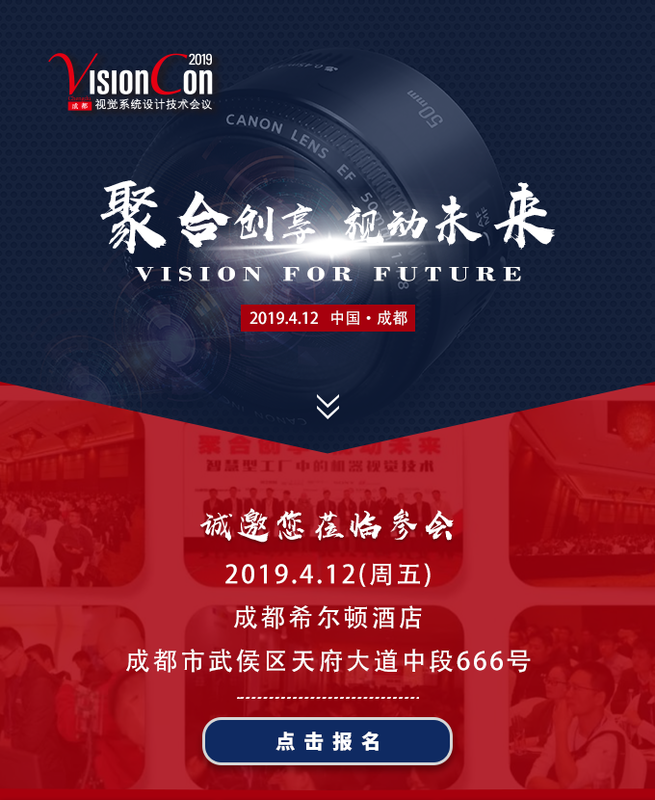 The theme of VisionCon 2019 is ’Vision for Future‘. Taking place in Chengdu, a key industrial city at the western economic zone of the Mainland, the event offers an excellent platform to enhance collaborations within technology-based industries of Hong Kong, Mainland and overseas. At the event, Dr Tasi will also share ASTRI’s latest R&D development in intelligent sensing technologies for smart factory and smart city applications, including deep leaning-based defect inspection system, 3D machine vision system, AR/VR display with advanced sensing technologies, and mini-spectrometer. If you are in or around Chengdu on the 12th, don’t forget to drop by to catch all the action. Or, you can watch this space to get the latest updates from VisionCon 2019.